Dry Fruits And Coconut Kulfi. 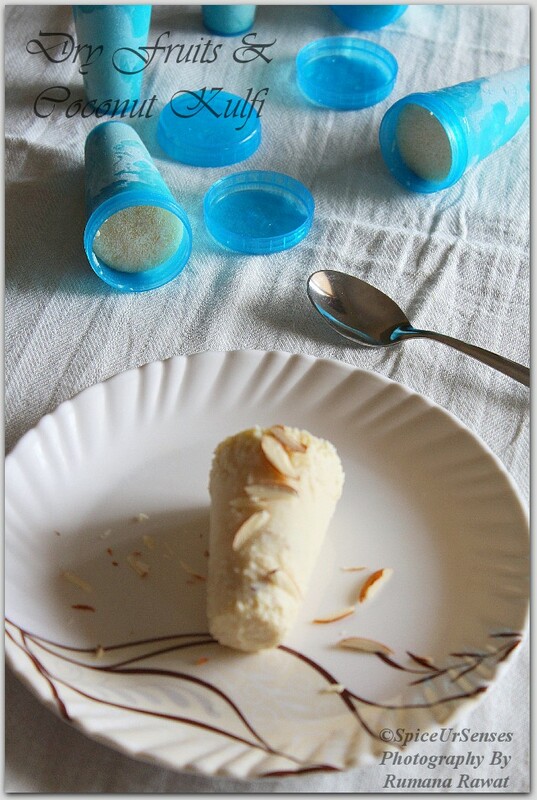 Dry Fruits And Coconut Kulfi. 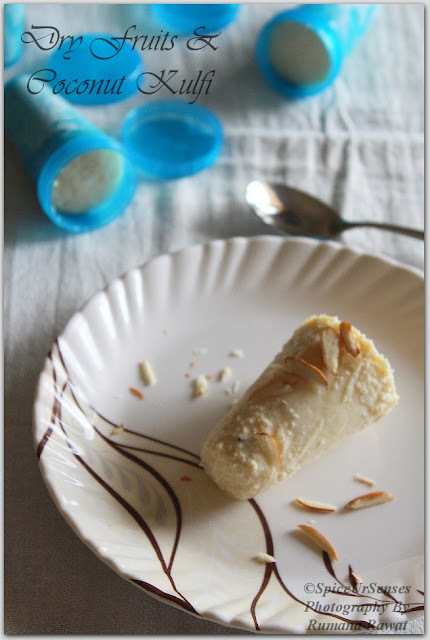 Today I'm here with another delicious yet easy kulfi recipe which will leave you speechless after eating this kulfi.. As I have mentioned in my last post that its getting hot in Bangalore and to beat the heat, I just feel like eating kulfi everytime, be it a lunch or dinner. So I'm stocking up my refrigerator with lots and lots of kulfi for upcoming days too.. Since this recipe takes less time and even less ingredients, so why not make and stock up.. Do try and let me know!! Heat a milk in pan, allow it to boil. Add the cream to the boiling milk. Boil the milk on a medium flame until it reduce to half. keep stirring in between. Once the milk is reduce to half. Now add the chopped dry fruits, sugar and cardamom and allow it to boil for another 5 to 7 minutes. 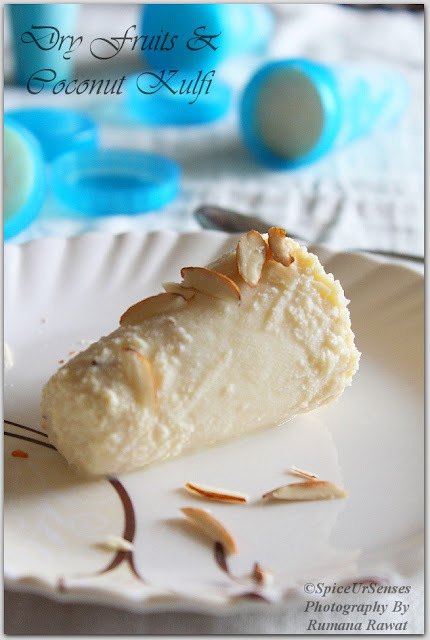 Then switch off the flame and let the kulfi mixture comes to a room temperature. Now pour the kulfi mixture into kulfi moulds and cover the top and freeze them for at least 6 to 7 hours or overnight is the best. 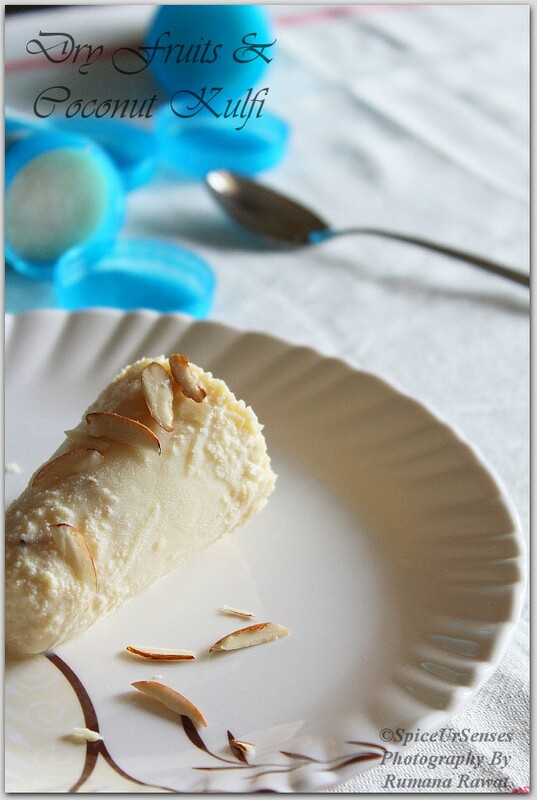 Take the kulfi out and by dipping into the water demould the kulfi.